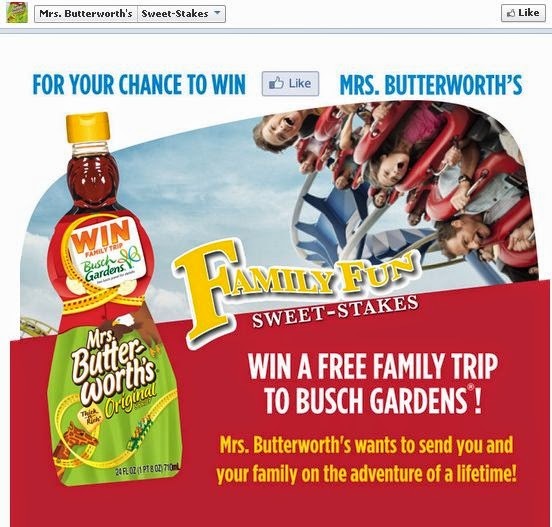 Go "like" Mrs. Butterworth's on Facebook & enter to win a family trip to Busch Gardens! Mrs. Butterworth's wants to send you & your family to Busch Garden's for an adventure of a lifetime. Click the link below to go to the Mrs. Butterworth's Facebook page to enter to win. Hurry there are only 3 days left to enter!